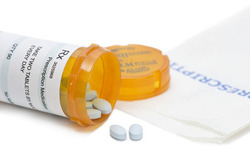 While Modafinil is FDA-approved for narcolepsy, obstructive sleep apnea hypopnea syndrome and SWSD, many physicians are prescribing it for patients who do not suffer from one of these conditions but exhibit similar symptoms. An off label use is one that was not studied as a part of the FDA approval process. The FDA controls marketing of drugs in the United States and they prohibit advertising drugs for uses the FDA has not explicitly approved them for. Manufacturers are allowed to advertise drugs for what they are labeled for. They have indirect ways of promoting off-label use, including sponsoring papers by doctors who advocate expanded use. Off-label uses often come from the community of practice – doctors and nurse practitioners – who figure it out in dealing with patients. This is in addition to trials proposed by manufacturers. Currently, many clinical trials are taking place to assess the effectiveness in using Provigil to treat other conditions than EDS associated with narcolepsy, OSAHS and SWSD. There have been no long term studies on the effects of recreational use of modafinil. Observers have raised the idea that taking modafinil is cheating. It is like doping in sports, they say. And further, access to modafinil and other cognitive enhancers is easier to wealthier people than for poorer ones, further making things unfair. Will insurance cover Provigil? In general, yes, insurance policies treat Provigil the same as any other prescription drug if it is for an approved use. Narcoleptics with good insurance can probably get it. Insurance companies know, however, that many prescriptions for Provigil are off-label, and they may be wary of people buying this expensive medicine if they suspect the intent it purely performance enhancement. Which clinical conditions are responsible for impaired alertness? The Prevalence and Cost of Unapproved Uses of Top-Selling Orphan Drugs - article from PLOS.